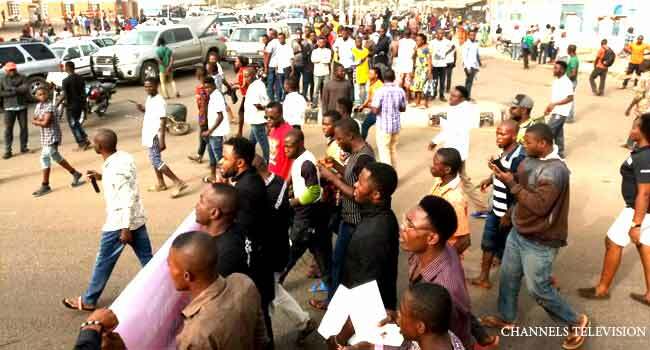 A file photo of Benue youths staging a protest against the series of attacks by suspected herdsmen in the state. Six persons have been killed by suspected herdsmen in a set of renewed attacks on communities in Logo, Guma and Okpokwu Local Government Areas of Benue State. Governor Ortom said two women were reported killed in Guma LGA and two persons in Logo on Tuesday, stressing that pockets of killings were still going on. The state was thrown into another round of mourning on Wednesday as he confirmed another set of killings by suspected herdsmen in Odidi and Ojokpailo in Okpokwu LGA. The Governor reiterated his call on security agencies to arrest the leadership of Miyetti Allah Kautal Hore whom he alleged were still issuing threats of resisting implementation of the Open Grazing Prohibition and Ranches Establishment Law in the state. He thanked General Oneya for identifying with people of the state in their trying moment, stressing that it was a demonstration of a true friend. Ortom, however, noted that the crises between herdsmen and farmers had lingered for years without anyone coming up with a bold step to address the issues. He further stressed that implementing the Open Grazing Prohibition and Ranches Establishment Law was targeted at finding a permanent solution to the challenge in the state. 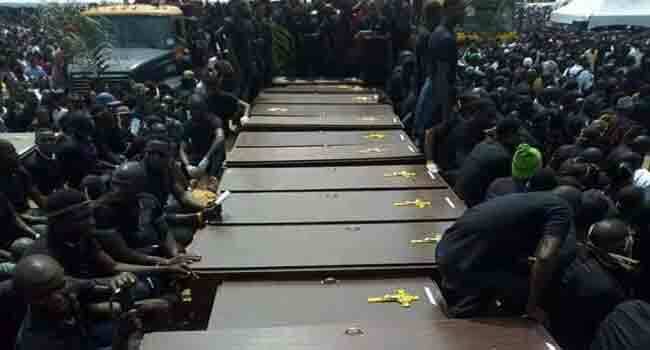 The governor confirmed the renewed attacks barely one week after the state government conducted a mass burial for more than 70 victims who died since the beginning of the new year. On Monday, Governor Ortom led a delegation of political leaders, traditional rulers and elders of from the state to the Presidential Villa in Abuja. Addressing the leaders at a meeting, President Muhammadu Bahari had urged them to accommodate their countrymen. “I ask you in the name of God to accommodate your countrymen. You can also be assured that I am just as worried, and concerned with the situation,” said the President who assured the leaders that the culprits would be brought to justice.